You may have seen some new symbols throughout the Sewickley Public Library lately – on flyers, on program information and on our website. That’s because SPL supports the Pennsylvania Library Association’s 21st Century Literacies Initiative, PA Forward. 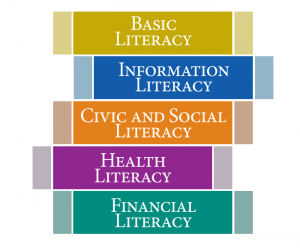 Libraries are the key to powering progress and elevating the quality of life in Pennsylvania by fueling the types of knowledge essential to success: Basic Literacy, Information Literacy, Civic and Social Literacy, Health Literacy, and Financial Literacy. and to participate fully in a digital society. to participate in civil discourse. their health care providers and reducing costs. You may see logos throughout the library identifying which of these literacies our programs aim to promote. These logos can help library users find programs that may help them with certain specialties. 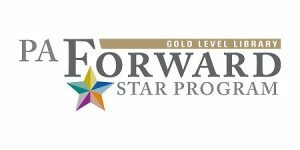 Being part of the PA Foward initiative by becoming a PA Forward Star Library is another way the Sewickley Public Library strives to offer quality programs that can enhance the lives of members in our community. ← UPDATE: Savoring Sewickley Tickets Sold Out!